New Zealand's exports and imports seemed to stabilize after its huge drops in 2015. Exports in 2016 were slightly lower at US$ 33.9 billion than the previous year's US$ 34.4 billion. This was also true to imports, where it was US$ 36.2 billion in 2016, lower than the previous year's US$ 36.5 billion. The exports and imports drops were already in its two-year period after their all-time peaks in 2014. The country exported a total of 3,863 products in 2016. Most of these were animal products (40.7 percent), food products (11.5 percent), wood (11.1 percent), vegetable (7.6 percent), machine and electronics (5.4 percent), chemicals (4.7 percent), metals (3.6 percent), textiles and clothing (2.6 percent), and miscellaneous (5.6 percent). On the other hand, New Zealand's imported 4,289 products, of which mostly were machine and electronics (21.6 percent), transportation (18.7 percent), chemicals (8.9 percent), fuels (8.5 percent), food products (7.7 percent), plastic or rubber (5.1 percent), textiles and clothing (4.9 percent), metals (4.9 percent), and miscellaneous (7.9 percent). In contrast, New Zealand imported more products than what it exported, totaling to 4,289. Most of these were on machineries and electronics (21.6 percent) and transportation (18.7 percent). Other import goods include chemicals (8.9 percent), fuels (8.5 percent), food products (7.7 percent), plastic or rubber (5.1 percent), textiles and clothing (4.9 percent), metals (4.9 percent), and miscellaneous (7.9 percent). In terms of stages of processing, most of the exports were raw materials (33.1 percent), intermediate goods (29.4 percent), and consumer goods (25.9 percent). Capital goods were only 8.3 percent. On the other hand, consumer goods (45.5 percent) and capital goods (29.7 percent) were the major imports. Intermediate goods and raw materials were only at 8.6 percent and 15.5 percent, respectively. 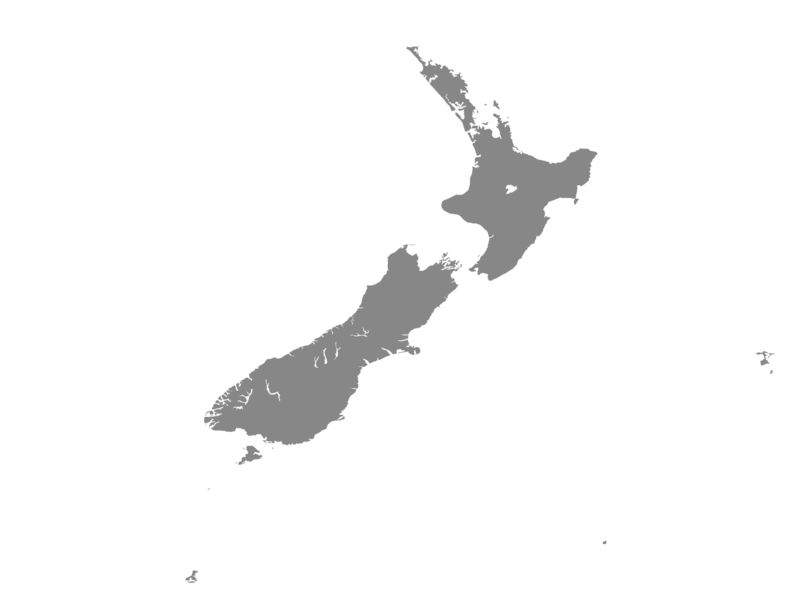 New Zealand's largest exports markets include China (19.5 percent), Australia (17.1 percent), USA (10.9 percent), Japan (6.1 percent), and Korea (3.1 percent). China (20.0 percent), Australia (12.6 percent), USA (11.3 percent), and Japan (7.1 percent) were also among the main sources of imports, in addition to Germany (4.9 percent). In terms of balance of payments, service imports amounted to US$ 11.9 billion, while exports amounted to US$ 15.0 billion in 2016. As of 2017, the country's FDI inflows continued to recover from its deficit in 2015 (US$ 245 million). It initially recovered in 2016 at US$ 2.9 billion to US$ 3.6 billion in 2017. The FDI stocks, however, continuously showed optimistic movements despite the decline of inflows in 2015. It increased from US$ 66.6 billion in 2015 to US$ 70.4 billion in 2016, and further significantly increased to US$ 76.4 billion in 2017. Most of the countries FDI came from Canada, Australia, Hong Kong, Japan, and Cayman Islands.